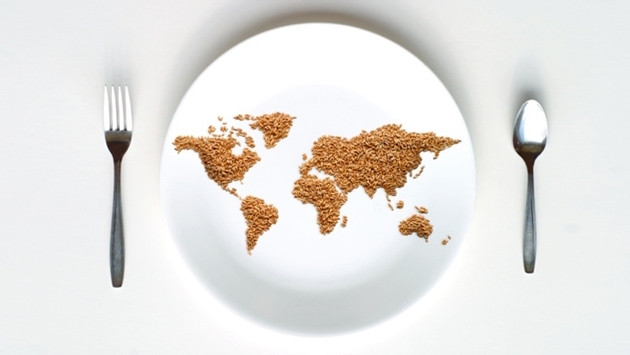 The World Food Travel Association defines a food traveler as anyone who is motivated by a quality food choice to travel outside of their normal orbit. Someone who drives all the way across town for a specialty coffee, for instance, is food traveling. Then there are those food travelers who get out of town and there’s a world of opportunities for them to indulge their passion. One of Australia’s top wine regions, the Barossa is becoming one of the country’s top epicurean destinations as well. Chef-driven restaurant concepts, hands-on cooking classes and other culinary activities are transforming mere dining into experiential food-based tourism opportunities. Barossa Valley cooking classes, such as Casa Carboni and Chef Mark McNamara’s Food Luddite cooking school, pay homage to farms and producers while employing simple and delicious, rustic cooking. Ultimate Winery Experiences Australia (UWEA) is a consortium of award-winning wineries in the country’s top wine regions. These wineries use wine tasting, gastronomy, food-wine pairing, wine education, and private tours to engage their visitors. “North America is an established market for Australia’s tourism and wine industries,” said Sally Cope, executive officer of UWEA. 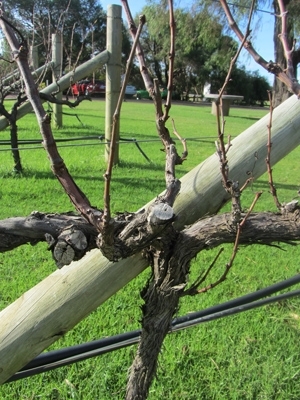 The Barossa Valley lies about 45 minutes outside of Adelaide. Tourism authorities like to compare its growth as a food and wine destination to California’s Napa Valley. Just as Napa’s fortunes grew out of the evolution of high quality restaurants popping up in the small wine town of Yountville years ago, new creative restaurants are putting the Barossa on the map today. Among these are the Appellation at The Louise, a luxury vineyard retreat and destination restaurant (recently added to the Relais & Châteaux global network); Hentley Farmrun by chef Lachlan Colwill, who often forages for ingredients in the surrounding wine country; fermentAsian, with its 12-dish menu built around Barossa produce and incorporating Vietnamese and Thai culinary influences within a contemporary Australian setting; and Fino at Seppeltsfield, a new restaurant known for its Centennial Collection of fortified wines. 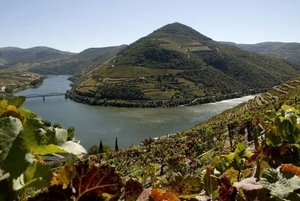 BKWine, a tour operator specializing in wine and food, unveiled its 2014 program for autumn tours to Bordeaux and Portugal’s Douro Valley. The Bordeaux program departs at the end of September and includes three days of winery visits and several gourmet meals. “We choose to focus on the most interesting and quality-conscious wineries, with very personal visits, instead of simply the most famous brand names that some others focus on,” said Britt Karlsson, co-founder of BKWine. The BKWine wine tours extend over three days of winery visits. 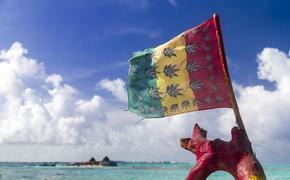 The guests arrive on the Wednesday and depart on the Sunday. All tours are guided by a professional wine guide. The tours usually include 10 winery visits as well as gourmet meals. The K Club is set on 550 acres of parkland that runs along the River Liffey in Kildare, Ireland about 22 miles from Dublin. The restored 19th-century Georgian mansion has 69 rooms plus Straffan House, the owner's private residence, available for exclusive use. Each Saturday night, The K Club’s Sommelier, Lisa O’Doherty leads guests on a tour through the hotel’s cellar. O’Doherty tells the history captured in the aged and dusty bottles such as the 1928 Beychevelle, and the largest collection of Chateau Petrus in Ireland. At the tour’s conclusion, O’Doherty will assist guests in selecting their own bottle from the antique shelves to accompany their dinner in the restaurant. The cellar was originally built by Hugh Barton, heir of the Bordeaux Dynasty. 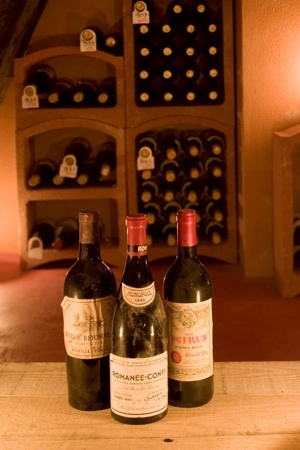 With over 450 wines on the menu, the cellar reads like a “who’s who” of winemaking. The collection dates back to the 1928 Beychevelle and includes all five first-growths of Petrus. It has a very strong selection from Burgundy, and boasts one of the cellar’s rarest wines - La Romanee Conti 1990 from Domaine Romanee Conti valued at €20,000. In addition to the rare vintages, O’Doherty has also created an eclectic collection of boutique wines from around the globe, such as Clarendon Hills and Giaconda Winery from Australia, Dominus from Napa Valley, L’Ermita from Priorat. Wine lovers can arrange to dine privately at the “cellar table,” where they can have a bespoke, gourmet menu served French Family style. Built in 1932 by Barton of the famous French wine firm Barton and Guestier, Straffan House was modelled after a château near Versailles. The home’s original wine cellar is located beneath the hotel’s East Wing and the most impressive part of the hotel today. In 2005, The K Club’s founder, Michael Smurfit, built Straffan House, a 34,000-square-foot French Chateau-inspired home adjacent to the K Club Hotel which includes its own glass-enclosed, thermostatically-controlled wine cellar. Newly available for private use, Straffan House is spread over three stories, and includes such amenities as a dedicated service team, concierge and private chef. With high ceilings, fine stucco work and stunning chandeliers, the property is adorned with original works of art by noted Irish artists Sir William Orpen and Jack B. Yeats. There are 10 bedrooms in total, all en-suite, an indoor swimming pool replete with “swim up bar,” spa, gym, games room, and a cinema. Guests can play two Arnold Palmer-designed championship courses: The Palmer Course, venue for the 2006 Ryder Cup, considered one of the best courses in Europe and The Palmer Smurfit Course, host to the European Open from 1995 to 2007. Guests also use the 20,000-square-foot K Spa. A little bit of Copenhagen is coming to Tokyo’s Mandarin Oriental this coming Jan. 9 to 31, when Chef René Redzepi opens a satellite branch of Noma in the hotel’s own Michelin-starred Signature Restaurant. Noma was recently ranked for the fourth consecutive time as the No. 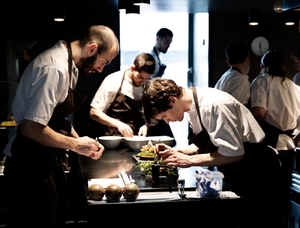 1 restaurant on The World’s 50 Best Restaurants’ list. Tokyo’s temporary Noma will host 50 guests per sitting for lunch and dinner. Redzepi will apply the same philosophical approach to Japan’s local foods and culinary influences. The 178-room Mandarin Oriental is located in Tokyo’s financial district, while Noma is located in an 18th-century warehouse along Copenhagen's harbor. The restaurant opened in 2003 as a small, 11-table restaurant with a tasting menu consisting of 20 servings. Redzepi has a passionate respect for Japanese cuisine, and it has been a long-held dream of his to spend time in Japan and apply his philosophy using Japanese ingredients. The collaboration will result in the Dinner at “Noma at Mandarin Oriental, Tokyo” package. Bookings will be open from June 23 and can only be made when booking the “Noma at Mandarin Oriental, Tokyo” accommodation package online through the Group’s website. The package is priced from JPY 149,500 ($1,476) for two and includes one night of accommodation in a Mandarin Grand Room, dinner at “Noma at Mandarin Oriental, Tokyo” on the night of stay, breakfast and a special commemorative gift. Tax and service charge are not included in the package price. Additional nights may also be booked at prevailing rates. Additional dinner guests will also need to book the “Noma at Mandarin Oriental, Tokyo” accommodation package. Lunch at “Noma at Mandarin Oriental, Tokyo” will also be available and are subject to availability and are non-refundable. Reservations may only be booked online via Noma’s website. Lunch at ‘Noma at Mandarin Oriental, Tokyo’ is offered at JPY 39,000 ($385) per person plus tax and service charge. Mandarin Oriental, Tokyo and Noma will offer a waiting list for each lunch and dinner booking as soon as online reservations begin on June 23. Guests who are unable to make an online reservation can put their names on the waiting list for the next available seating, subject to cancellation. To be added to the waiting list for dinner through the “Noma at Mandarin Oriental, Tokyo” accommodation package, guests can leave their details by email at noma@mohg.com. For lunch, guests can place their names on the waiting list via Noma’s website.